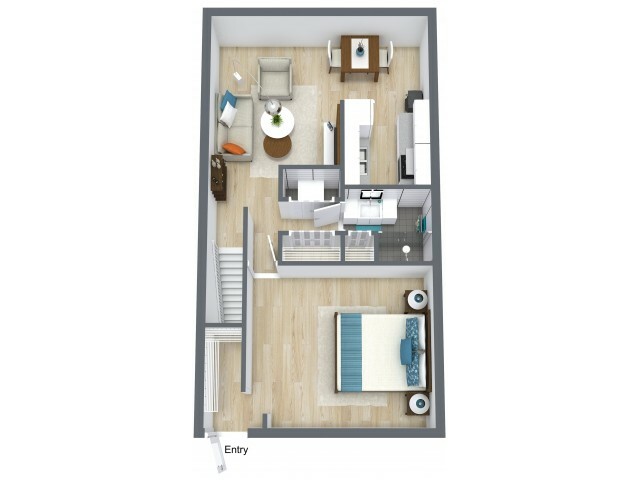 The Biscayne is perfect for anyone looking for quality without sacrificing space. This one bedroom, one bathroom unit has a linen closet in the bathroom, breakfast nook, and bedroom spacious enough for a Queen size bed. The patio and laundry facility in building are crazy convenient. The upgraded appliances are a must-see!